Far be it from me to dump on a guy who, even if he deserves most of it, receives more bad press in a day than the rest of us do in a lifetime. Still, as I pore over the numerous online reactions to Trump’s mistaken word choice, I can only suggest that the best thing to pour over the Speller-in-Chief’s tweet might be a flammable liquid. 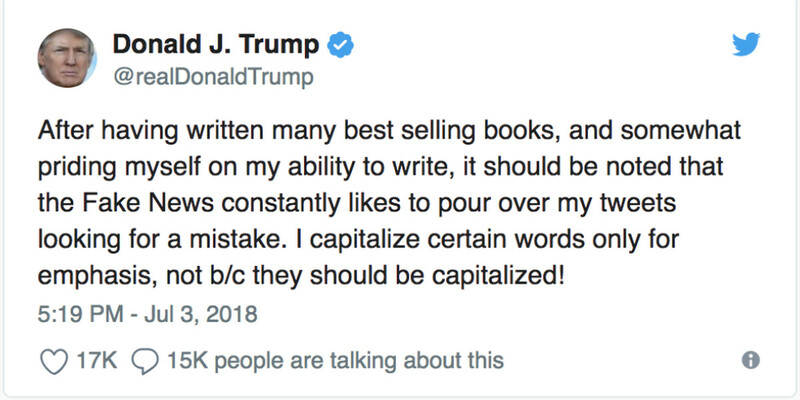 For the record, pour refers to the act of tipping a liquid out of a container. Pore is what we do when we closely examine a piece of writing, such as a tweet.